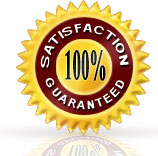 You will be delighted with our quality cleaning or it’s FREE! Hello. 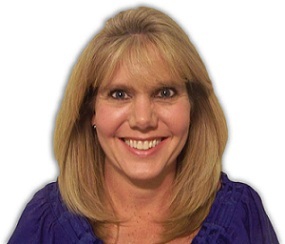 I am Ellen Fagan, Owner of Steam Clean My Carpets, LLC. You probably have seen what seems like a zillion carpet cleaners, tile & grout cleaners, upholstery cleaners, etc. So, I’m sure you are wondering, “Why should I choose this company versus another company.” Right? Well, I started this business because I felt there was a gap in the market that needed to be filled. It seemed like most companies were into just getting the job done but not paying attention to quality. At the time, I was having “pet issues” in my home so I decided to do some research to find the best carpet cleaner in the market. That’s when I found the Rotovac 360 with the rotating, spinning head that provided several hundred multi directional cleaning passes per minute. I was impressed so, I bought it and started using it for friends and family. Wow! It even amazed me as to the stains and dirt it was able to get out that others were not able to remove. I kept hearing from friends and family that they didn’t think those spots would come out because the other guys (including the big chain companies) were not able to remove them. At that point, I realized I had a niche to fill in the cleaning services world. Steam Clean My Carpets, LLC was born! As we got more and more requests to add other services, we decided to do so only if we could find the best tools and solutions to get the “Wow” effect from every additional service. We have now added tile & grout cleaning, furniture and upholstery cleaning, mattress cleaning and rug cleaning. We now hear “Wow” regularly and it is becoming my favorite word! I hear many horror stories in our industry: Companies don’t stand behind their work. They do the job half way and leave before it is truly clean. They pull the “bait and switch” routine where one price is quoted and then they charge a much higher price before it is all done. One company out there quotes a dirt cheap price for carpet cleaning and then you come to find out that price is for rinsing your carpet only. I am not kidding! Then they tell the client that it will be several hundred dollars more to use a cleaning solution in the process. I could go on and on with stories we have heard over the years. Be careful when choosing your cleaning company! Who else offers that extensive of guarantee? We also stand behind our quotes. When we give you a quote, we stand behind it. We also don’t do the high pressure upsells that happen in our industry. If you want to add more rooms, add Scotchgard protectant, seal your grout lines, add pet odor treatment, that is fine. It is available but you won’t find us pressuring you to do anything. We treat you like we would like to be treated. In addition, our employees are perfectionists as they want to do the best job that can be done every single time even if it takes longer than expected. Lastly, don’t take my word for it. Do your own research. Please check some of our client reviews listed on our website or even better, go to Google, Angies List, Yelp, Facebook, etc. I have made the mistake of hiring a company without reading reviews. Boy, what a mistake that was! If I had just checked reviews, I would have known better. Lesson learned. So, I really want to stress to please look at reviews first before choosing any company you are looking to hire. In this social media age, why not utilize it to see what others think before picking who you trust to be in your home or business? Have a great day and please call us if we can be of service at (386) 860-2202 or (407) 920-8776.